"Russia, overwhelmingly populated by Russians, had been governed for centuries by a Russian ruling elite. Then, heavily Jewish revolutionaries, drawn from a group amounting to just 4% of the population had taken advantage of military defeat and unsettled political conditions to seize control of the country, butchering those previous elites or forcing them to desperately flee abroad as penniless refugees." The author is the founder and editor of the Unz Review, a conservative American political website, an entrepreneur, and a one-time candidate for the governor of California. This article was originally published in October 2016 at the Unz Review. Although I always had a great interest in history, I naively believed what I read in my textbooks, and therefore regarded American history as just too bland and boring to study. By contrast, one land I found especially fascinating was China, the world’s most populous country and its oldest continuous civilization, with a tangled modern history of revolutionary upheaval, then suddenly reopened to the West during the Nixon Administration and under Deng’s economic reforms starting to reverse decades of Maoist economic failure. In 1978 I took a UCLA graduate seminar on the rural Chinese political economy, and probably read thirty or forty books during that semester. E.O. Wilson’s seminal Sociobiology: The New Synthesis had just been published a couple of years earlier, reviving that field after decades of harsh ideological suppression, and with his ideas in the back of my mind, I couldn’t help noticing the obvious implications of the material I was reading. The Chinese had always seemed a very smart people, and the structure of China’s traditional rural peasant economy produced Social Darwinist selective pressure so thick that you could cut it with a knife, thus providing a very elegant explanation of how the Chinese got that way. A couple of years later in college, I wrote up my theory while studying under Wilson, and then decades afterward dug it out again, finally publishing my analysis as How Social Darwinism Made Modern China. With the Chinese people clearly having such tremendous inherent talent and their potential already demonstrated on a much smaller scale in Hong Kong, Taiwan, and Singapore, I believed there was an excellent chance that Deng’s reforms would unleash enormous economic growth, and sure enough, that was exactly what happened. In the late 1970s, China was poorer than Haiti, but I always told my friends that it might come to dominate the world economically within a couple of generations, and although most of them were initially quite skeptical of such an outrageous claim, every few years they became a little less so. The Economist had long been my favorite magazine, and in 1986 they published an especially long letter of mineemphasizing the tremendous rising potential of China and urging them to expand their coverage with a new Asia Section; the following year, they did exactly that. These days I feel tremendous humiliation for having spent most of my life being so totally wrong about so many things for so long, and I cling to China as a very welcome exception. I can’t think of a single development during the last forty years that I wouldn’t have generally expected back in the late 1970s, with the only surprise having been the total lack of surprises. About the only “revision” I’ve had to make in my historical framework is that I’d always casually accepted the ubiquitous claim that Mao’s disastrous Great Leap Forward of 1959-61 had caused 35 million or more deaths, but I’ve recently encountered some serious doubts, suggesting that such a total could be considerably exaggerated, and today I might admit the possibility that only 15 million or fewer had died. But although I always had a great interest in China, European history was even more fascinating to me, with the political interplay of so many conflicting states and the huge ideological and military upheavals of the twentieth century. In my unjustified arrogance, I also sometimes relished a sense of seeing obvious things that magazine or newspaper journalists got so completely wrong, mistakes which often slipped into historical narratives as well. For example, discussions of the titanic 20th century military struggles between Germany and Russia quite often made casual references to the traditional hostility between those two great peoples, who for centuries had stood as bitter rivals, representing the eternal struggle of Slav against Teuton for dominion over Eastern Europe. Although the bloodstained history of the two world wars made that notion seem obvious, it was factually mistaken. Prior to 1914, those two great peoples had not fought against each other for the previous 150 years, and even the Seven Years’ War of the mid-18th century had involved a Russian alliance with Germanic Austria against Germanic Prussia, hardly amounting to a conflict along civilizational lines. Russians and Germans had been staunch allies during the endless Napoleonic wars, closely cooperated during the Metterich and Bismarck Eras that followed, while even as late as 1904, Germany had supported Russia in its unsuccessful war against Japan. Later, Weimar Germany and Soviet Russia had a period of close military cooperation during the 1920s, the Hitler-Stalin Pact of 1939 marked the beginning of the Second World War, and during the long Cold War, the USSR had no more loyal a satellite than East Germany. Perhaps two dozen years of hostility over the last three centuries, with good relations or even outright alliance during most of the remainder, hardly suggested that Russians and Germans were hereditary enemies. Moreover, throughout much of that period, Russia’s ruling elite had had a considerable Germanic tinge. Russia’s legendary Catherine the Great had been a German princess by birth, and over the centuries so many Russian rulers had taken German wives that the later Czars of the Romanov dynasty were usually more German than Russian. Russia itself had a substantial but heavily assimilated German population, which was very well represented in elite political circles, with German names being quite common among government ministers and sometimes found among important military commanders. Even a top leader of the Decembrist revolt of the early 19th century had had German ancestry but was a zealous Russian-nationalist in his ideology. Under the governance of this mixed Russian and German ruling class, the Russian Empire had steadily risen to become one of the world’s foremost powers. Indeed, given its vast size, manpower, and resources, combined with one of the world’s fastest economic growth rates and a natural increase in total population that was not far behind, a 1914 observer might have easily pegged it to soon dominate the European continent and perhaps even much of the world, just as Tocqueville had famously prophesized in the early decades of the 19th century. A crucial underlying cause of the First World War was Britain’s belief that only a preventative war could forestall a rising Germany, but I suspect that an important secondary cause was the parallel German notion that similar measures were necessary against a rising Russia. Obviously, this entire landscape was totally transformed by the Bolshevik Revolution of 1917, which swept the old order from power, massacring much of its leadership and forcing the remainder to flee, thereby ushering in the modern world era of ideological and revolutionary regimes. I grew up during the final decades of the long Cold War, when the Soviet Union stood as America’s great international adversary, so the history of that revolution and its aftermath always fascinated me. During college and graduate school I probably read at least one hundred books in that general topic, devouring the brilliant works of Solzhenistyn and Sholokhov, the thick historical volumes of mainstream academic scholars such as Adam Ulam and Richard Pipes, as well as the writings of leading Soviet dissidents such as Roy Medvedev, Andrei Sakharov, and Andrei Amalrik. I was fascinated by the tragic story of how Stalin outmaneuvered Trotsky and his other rivals, leading to the massive purges of the 1930s as Stalin’s growing paranoia produced such gigantic loss of life. I was not so totally naive that I did not recognize some of the powerful taboos surrounding discussion of the Bolsheviks, particularly regarding their ethnic composition. Although most of the books hardly emphasized the point, anyone with a careful eye for the occasional sentence or paragraph would surely know that Jews were enormously over-represented among the top revolutionaries, with three of Lenin’s five potential successors— Trotsky, Zinoviev, and Kamenev—all coming from that background, along with many, many others within the top Communist leadership. Obviously, this was wildly disproportionate in a country having a Jewish population of perhaps 4%, and surely helped explain the large spike in worldwide hostility towards Jews soon afterward, which sometimes took the most deranged and irrational forms, such as the popularity of The Protocols of the Learned Elders of Zion and Henry Ford’s notorious publication of The International Jew. But with Russian Jews so much more likely to be educated and urbanized, and suffering from fierce anti-Semitic oppression under the Czars, everything seemed to make reasonable sense. Then perhaps fourteen or fifteen years ago, I encountered a rip in my personal space-time continuum, among the first of many to come. In this particular instance, an especially rightwing friend of evolutionary theorist Gregory Cochran had been spending long days browsing the pages of Stormfront, a leading Internet forum for the Far Right, and having come across a remarkable factual claim, asked me for my opinion. Allegedly Jacob Schiff, America’s leading Jewish banker, had been the crucial financial supporter of the Bolshevik Revolution, providing the Communist revolutionaries with $20 million in funding. Once I checked around a little, I discovered that numerous mainstream accounts described the enormous hostility of Schiff towards the Czarist regime for its ill-treatment of Jews, and these days even so establishmentarian a source as Wikipedia’s entry on Jacob Schiff notes that he played a major role financing the Russian Revolution of 1905, as was revealed in the later memoirs of one of his key operatives. And if you run a search on “jacob schiff bolshevik revolution” numerous other references come up, representing a wide variety of different positions and degrees of credibility. One very interesting statement appears in the memoirs of Henry Wickham Steed, editor of The Times of London and one of the foremost international journalists of his era. He very matter-of-factly mentions that Schiff, Warburg and the other top Jewish international bankers were among the leading backers of the Jewish Bolsheviks, through whom they hoped to gain an opportunity for the Jewish exploitation of Russia, and he describes their lobbying efforts on behalf of their Bolshevik allies at the 1919 Paris Peace Conference following the end of the First World War. Even the very recent and highly skeptical 2016 analysis in Kenneth D. Ackerman’s 2016 book Trotsky in New York, 1917 notes that U.S. Military Intelligence reports of the period directly made that astonishing claim, pointing to Trotsky as the conduit for the heavy financial backing of Schiff and numerous other Jewish financiers. In 1925 this information was published in the British Guardian and was widely discussed and accepted throughout the 1920s and 1930s by numerous major media publications, long before Schiff’s own grandson provided a direct confirmation of those facts in 1949. Ackerman rather cavalierly dismisses all of this considerable contemporaneous evidence as “anti-Semitic” and a “conspiracy story,” arguing that since Schiff was a notorious conservative who had never shown any sympathy for socialism in his own American milieu, he surely would not have funded the Bolsheviks. Now admittedly, a few details might easily have gotten somewhat garbled over time. For example, although Trotsky quickly became second only to Lenin in the Bolshevik hierarchy, in early 1917 the two were still bitterly hostile over various ideological disputes, so he certainly was not then considered a member of that party. And since everyone today acknowledges that Schiff had heavily financed the failed 1905 Revolution in Russia, it seems perfectly possible that the $20 million figure mentioned by his grandson refers to the total invested over the years supporting all the different Russian revolutionary movements and leaders, which together finally culminated in the establishment of Bolshevik Russia. But with so many seemingly credible and independent sources all making such similar claims, the basic facts appear almost indisputable. Consider the implications of this remarkable conclusion. I would assume that most of Schiff’s funding of revolutionary activities was spent on items such as activist stipends and bribes, and adjusted for the average family incomes of that era, $20 million would be as much as $2 billion in present-day money. Surely without such enormous financial support, the likelihood of any Bolshevik victory would have been far lower, perhaps almost impossible. When people casually used to joke about the total insanity of “anti-Semitic conspiracy theories” no better example was ever tossed around than the self-evidently absurd notion that the international Jewish bankers had created the worldwide Communist movement. And yet by any reasonable standard, this statement appears to be more or less true, and apparently was widely known at least in rough form for decades after the Russian Revolution, but had never been mentioned in any of the numerous more recent histories that shaped my own knowledge of those events. Indeed, none of these very comprehensive sources ever even mentioned Schiff’s name, although it was universally acknowledged that he had funded the 1905 Revolution, which was often discussed in enormous detail in many of those very weighty books. What other astonishing facts might they similarly be concealing? When someone encounters remarkable new revelations in an area of history in which his knowledge was rudimentary, being little more than introductory textbooks or History 101 courses, the result is a shock and an embarrassment. But when the same situation occurs in an area in which he had read tens of thousands of pages in the leading authoritative texts, which seemingly explored every minor detail, surely his sense of reality begins to crumble. In 1999, Harvard University published the English edition of The Black Book of Communism, whose six co-authors devoted 850 pages to documenting the horrors inflicted upon the world by that defunct system, which had produced a total death toll they reckoned at 100 million. I have never read that book and I have often heard that the alleged body-count has been widely disputed. But for me the most remarkable detail is that when I examine the 35 page index, I see a vast profusion of entries for totally obscure individuals whose names are surely unknown to all but the most erudite specialist. But there is no entry for Jacob Schiff, the world-famous Jewish banker who apparently financed the creation of the whole system in the first place. Nor one for Olaf Aschberg, the powerful Jewish banker in Sweden, who played such an important role in providing the Bolsheviks a financial life-line during the early years of their threatened regime, and even founded the first Soviet international bank. When one discovers a tear in the fabric of reality, there is a natural tendency to nervously peer within, wondering what mysterious objects might dwell there. The Ackerman book denounced the notion of Schiff having funded the Bolsheviks as “a favorite trope of Nazi anti-Jewish propaganda” and just prior to those words he issued a similar denunciation of Henry Ford’s Dearborn Independent, a publication which would have meant almost nothing to me. Although Ackerman’s particular book had not yet been published when I began exploring the Schiff story a dozen years ago, many other writers had similarly conjoined those two topics, so I decided to explore the matter. Ford himself was a very interesting individual, and his world-historical role certainly received very scanty coverage in my basic history textbooks. Although the exact reasons for his decision to raise his minimum wage to $5 per day in 1914—double the existing average pay for industrial workers in America—can be disputed, it certainly seems to have played a huge role in the creation of our middle class. He also adopted a highly paternalistic policy of providing good company housing and other amenities to his workers, a total departure from the “Robber Baron” capitalism so widely practiced at that time, thereby establishing himself as a world-wide hero to industrial workers and their advocates. Indeed, Lenin himself had regarded Ford as a towering figure in the world’s revolutionary firmament, glossing over his conservative views and commitment to capitalism and instead focusing on his remarkable achievements in worker productivity and economic well-being. It is a forgotten detail of history that even after Ford’s considerable hostility to the Russian Revolution became widely known, the Bolsheviks still described their own industrial development policy as “Fordism.” Indeed, it was not unusual to see portraits of Lenin and Ford hanging side-by-side in Soviet factories, representing the two greatest secular saints of the Bolshevik pantheon. As for The Dearborn Independent, Ford had apparently launched his newspaper on a national basis not long after the end of the war, intending to focus on controversial topics, especially those related to Jewish misbehavior, whose discussion he believed was being ignored or suppressed by nearly all mainstream media outlets. I had been aware that he had long been one of the wealthiest and most highly-regarded individuals in America, but I was still astonished to discover that his weekly newspaper, previously almost unknown to me, had reached a total national circulation of 900,000 by 1925, ranking it as the second largest in the country and by far the biggest with a national distribution. I found no easy means of examining the contents of a typical issue, but apparently the anti-Jewish articles of the first couple of years had been collected and published as short books, together constituting the four volumes of The International Jew: The World’s Foremost Problem, a notoriously anti-Semitic work occasionally mentioned in my history textbooks. Eventually my curiosity got the best of me, so clicked a few buttons on Amazon.com, bought the set, and wondered what I would discover. Based on all my pre-suppositions, I expected to read some foaming-at-the-mouth screed, and doubted I would be able to get past the first dozen pages before losing interest and consigning the volumes to gather dust on my shelves. But what I actually encountered was something entirely different. Over the last couple of decades, the enormous growth in the power and influence of Jewish and pro-Israel groups in America has occasionally led writers to cautiously raise certain facts regarding the untoward influence of those organizations and activists, while always carefully emphasizing that the vast majority of ordinary Jews do not benefit from these policies and actually might be harmed by them, even leaving aside the possible risk of eventually provoking an anti-Jewish backlash. To my considerable surprise, I found that the vast majority of the material in Ford’s 300,000 word series seemed to follow this same pattern and tone. The individual 80 chapter-columns of Ford’s volumes generally discuss particular issues and events, some of which were well-known to me, but with the vast majority totally obscured by the passage of almost a hundred years. But as far as I could tell, almost all the discussions seemed quite plausible and factually-oriented, even sometimes overly cautious in their presentation, and with one possible exception I can’t recall anything that seemed fanciful or unreasonable. As an example, there was no claim that Schiff or his fellow Jewish bankers had funded the Bolshevik Revolution since those particular facts had not yet come out, only that he had seemed to be strongly supportive of the overthrow of Czarism, and had worked toward that end for many years, motivated by what he regarded as the hostility of the Russian Empire towards its Jewish subjects. This sort of discussion is not all that different from what one might find in a modern Schiff biography or in his Wikipedia entry, though many of the important details presented in the Ford books have disappeared from the historical record. Although I somehow managed to plow through all four volumes of The International Jew, the unrelenting drum-beat of Jewish intrigue and misbehavior became somewhat soporific after a while, especially since so many of the examples provided may have loomed quite large in 1920 or 1921 but are almost totally forgotten today. Most of the content was a collection of rather monotonous complaints regarding Jewish malfeasance, scandals, or clannishness, the sort of mundane matters which might have normally appeared in the pages of an ordinary newspaper or magazine, let alone one of the muckraking type. However, I cannot fault the publication for such a narrow focus. A consistent theme was that because of the intimidating fear of Jewish activists and influence, virtually all of America’s regular media outlets avoided discussion of any of these important matters, and since this new publication was intended to remedy that void, it necessarily required coverage overwhelmingly skewed toward that particular subject. The articles were also aimed at gradually expanding the window of public debate and eventually shame other periodicals into discussing Jewish misbehavior. When leading magazines such as The Atlantic Monthly and Century Magazine began running such articles, this result was cited as a major success. Another important goal was to make ordinary Jews more aware of the very problematical behavior of many of their community leaders. Occasionally, the publication received a letter of praise from a self-proclaimed “proud American Jew” commending the series and sometimes including a check to purchase subscriptions for other members of his community, and this achievement might become the subject of an extended discussion. And although the details of these individual stories differed considerably from those of today, the pattern of behavior being criticized seemed remarkably similar. Change a few facts, adjust the society for a century of change, and many of the stories might be exactly the same ones that well-meaning people concerned about the future of our country are quietly discussing today. Most remarkably, there were even a couple of columns about the troubled relationship between the earliest Zionist settlers in Palestine and the surrounding native Palestinians, and deep complaints that under Jewish pressure the media often totally misreported or hid some of the outrages suffered by the latter group. With the volumes long out of copyright, I have added the set to my collection of HTML Books, and those so interested may read the text and decide for themselves. As mentioned, the overwhelming majority of The International Jew seems a rather bland recitation of complaints about Jewish misbehavior. But there is one major exception, which has a very different impact upon our modern mind, namely that the writer took very seriously The Protocols of the Learned Elders of Zion. Probably no “conspiracy theory” in modern times has been subjected to such immense vilification and ridicule as the Protocols, but a voyage of discovery often acquires a momentum of its own, and I became curious about the nature of that infamous document. Apparently, the Protocols first came to light during the last decade of the 19th century, and the British Museum stored a copy in 1906, but it attracted relatively little attention at the time. However, all this changed after the Bolshevik Revolution and toppling of many other long-standing governments at the end of the First World War led many people to seek a common cause behind so many enormous political upheavals. From my distance of many decades, the text of the Protocols struck me as rather bland and even dull, describing in rather long-winded fashion a plan of secret subversion aimed at weakening the bonds of the social fabric, setting groups against each other, gaining control over political leaders by bribery and blackmail, and eventually restoring society along rigidly hierarchical lines with an entirely new group in control. Admittedly, there were many shrewd insights into politics or psychology, notably the enormous power of the media and the benefits of advancing political front-men who were deeply compromised or incompetent and hence easily controllable. But nothing else really jumped out at me. Perhaps one reason I found the text of the Protocols so uninspiring is that over the century since its publication, these notions of diabolical plots by hidden groups have become such a common theme in our entertainment media, with countless thousands of spy novels and science fiction stories presenting something similar, though these usually involve far more exciting means, such as a super-weapon or a powerful drug. If some Bond villain proclaimed his intent to conquer the world merely through simple political subversion, I suspect that such a film would immediately die at the box office. But back one hundred years ago, these were apparently exciting and novel notions, and I actually found the discussion of the Protocols in many of the chapters of The International Jew far more interesting and informative than reading the text itself. The author of the Ford books seems to appropriately treat it as any other historical document, dissecting its content, speculating on its provenance, and wondering whether or not it was what it purported to be, namely an approximate record of the statements of a group of conspirators pursuing mastery over the world, with those conspirators widely believed to be an elite fraternity of international Jews. Other contemporaries seem to have taken the Protocols very seriously as well. The august Times of London fully endorsed it, before later retracting that position under heavy pressure, and I’ve read that more copies were published and sold in the Europe of that era than any other book save the Bible. The Bolshevik government of Russia paid the volume its own sort of deep respect, with mere possession of the Protocolswarranting immediate execution. Although The International Jew concludes that the Protocols was probably genuine, I doubt that likelihood based upon the style and presentation. Browsing around on the Internet a dozen years ago, I discovered quite a variety of different opinions even within the precincts of the Far Right, where such matters were freely discussed. I remember some forum writer somewhere characterizing the Protocols as “based upon a true story,” suggesting that someone who was generally familiar with the secretive machinations of elite international Jews against the existing governments of Czarist Russia and other countries had drafted the document to outline his view of their strategic plans, and such an interpretation seems perfectly plausible. 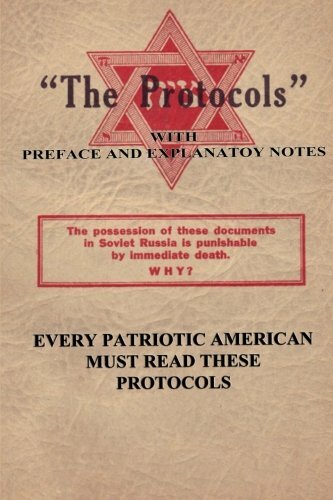 Another reader somewhere claimed that the Protocols were pure fiction but very significant nonetheless. He argued that the very keen insights into the methods by which a small conspiratorial group can quietly corrupt and overthrow powerful existing regimes arguably ranked it alongside Plato’s The Republic and Machiavelli’s The Prince as one of the three great classics of Western political philosophy, and earned it a place on the required reading list of every Political Science 101 course. Indeed, the author of Ford’s books emphasizes that there are very few mentions of Jews anywhere in the Protocols, and all the implied connections to Jewish conspirators could be completely struck from the text without affecting their content whatsoever. In any event, this short work is now available as one of my HTML Books, making it quite convenient for reading and text-searching. Some ideas have consequences and others do not. 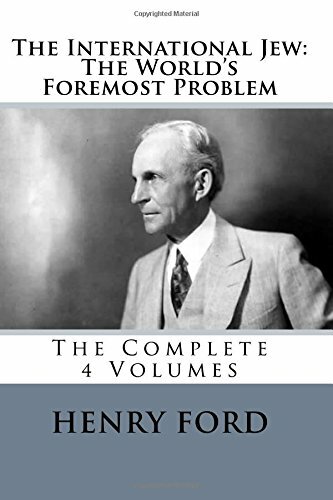 Although my introductory history textbooks had often mentioned Henry Ford’s anti-Semitic activities, his publication of The International Jew, and the concurrent popularity of the Protocols, they never emphasized any lasting political legacy, or at least I don’t recall any. However, once I actually read the contents and also discovered the enormous contemporary popularity of those writings and the huge national circulation of The Dearborn Independent, I quickly came to a very different conclusion. For decades pro-immigration liberals, many of them Jewish, have suggested that anti-Semitism was a major factor behind the 1924 Immigration Act that drastically reduced European immigration for the next forty years, while anti-immigration activists have always heatedly denied this. The documentary evidence from that era certainly favors the position of the latter, but I really do wonder what important private discussions may not have been set down in print and entered into the Congressional Record. The overwhelming popular support for immigration restriction had been successfully blocked for decades by powerful business interests, which greatly benefited from the reduced wages of the resulting labor-competition, but now matters had suddenly changed, and surely the Bolshevik Revolution in Russia must have had been a powerful influence. Russia, overwhelmingly populated by Russians, had been governed for centuries by a Russian ruling elite. Then, heavily Jewish revolutionaries, drawn from a group amounting to just 4% of the population had taken advantage of military defeat and unsettled political conditions to seize control of the country, butchering those previous elites or forcing them to desperately flee abroad as penniless refugees. Trotsky and a large fraction of the leading Jewish revolutionaries had been living as exiles in New York City, and now many of their Jewish cousins still resident in America began loudly proclaiming that a similar revolution would soon follow here as well. Huge waves of recent immigration, mostly from Russia, had increased the Jewish fraction of the national population to 3%, not far below the figure for Russia itself on the eve of its revolution. If the Russian elites who ruled Russia had been suddenly overthrown by Jewish revolutionaries, is it not obvious that the Anglo-Saxon elites who ruled Anglo-Saxon America feared suffering the same fate? The “Red Scare” of the 1919 was one response, with numerous immigrant radicals such as Emma Goldman rounded up and summarily deported, while the Sacco-Vanzetti murder trial in 1921 Boston captured the attention of the nation, suggesting that other immigrant groups were violent radicals as well, and might ally themselves with the Jews in a revolutionary movement, just like the Letts and other disgruntled Russian minorities had done during the Bolshevik Revolution. But drastically reducing the inflow of these dangerous foreigners was absolutely essential since otherwise their numbers might easily grow by hundreds of thousands each year, increasing their already huge presence in our largest cities of the East Coast. Sharply reducing immigration would certainly cause a rise in worker wages and hurt business profits. But considerations of profits are secondary if you fear that you and your family might eventually end up facing a Bolshevik firing squad or fleeing to Buenos Aires with just the clothes on your backs and a few hurriedly-packed suitcases. A noteworthy bit of evidence in support of this analysis was the subsequent failure of Congress to enact similar restrictive legislation curtailing immigration from Mexico or the rest of Latin America. The local business interests of Texas and the Southwest argued that continuation of unrestricted Mexican immigration was important for their economic success, with Mexicans being good people, politically docile workers, and no threat to stability of the country. This was a clear contrast with the Jews and some other European immigrant groups. The much less familiar early 1920s battle over restricting Jewish enrollment in the Ivy League may have been another consequence. In his magisterial 2005 volume The Chosen, Jerome Karabel documents how the very rapid growth in Jewish numbers at Harvard, Yale, Princeton, and other Ivy League colleges had by the early 1920s become an enormous concern to the Anglo-Saxon elites which had established those institutions and always dominated their student bodies. As a result, a quiet war over admissions broke out, involving both political and media influence, with the reigning WASPs seeking to reduce and restrict Jewish numbers and the Jews struggling to maintain or expand them. Although there seems no paper-trail of any direct references to the enormously popular national newspaper and books published by Henry Ford or any similar material, it is difficult to believe that the academic combatants were not at least somewhat aware of the theories of a Jewish assault on Gentile society then being so widely promoted. It is easy to imagine that a respectable Boston Brahmin such as Harvard President A. Lawrence Lowell regarded his own moderate “anti-Semitism” as a very reasonable middle-ground between the lurid claims promoted by Ford and others and the demands for unlimited Jewish enrollment made by his opponents. Indeed, Karabel himself points to the social impact of Ford’s publications as a significant background factor to this academic conflict. At this point in time, the Anglo-Saxon elites still held the upper hand in the media. The very heavily Jewish film industry was only in its infancy and the same was true for radio, while the vast majority of major print outlets were still in Gentile hands, so the descendants of America’s original settlers won this round of the admissions war. But when the battle was rejoined a couple of decades later, the strategic political and media landscape had completely shifted, with Jews having achieved near-parity in print influence and overwhelming dominance in the more powerful electronic media formats such as film, radio, and nascent television, and this time they were victorious, easily breaking the hold of their longtime ethnic rivals, and eventually achieving almost complete dominance over those elite institutions. And ironically enough, the most lasting cultural legacy of the widespread anti-Jewish agitation of the 1920s may be the least recognized. As mentioned above, modern readers might find the text of the Protocols rather boring and bland, almost like they had been cribbed from the extremely long-winded monologue of one of the diabolical villains of a James Bond story. But it wouldn’t surprise me if there were actually an arrow of causality in the opposite direction. 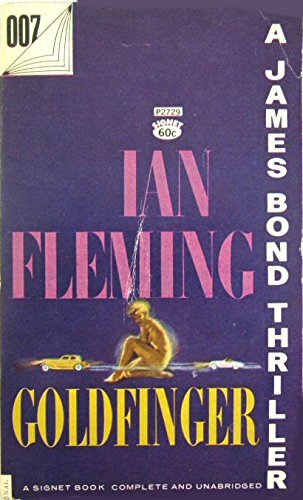 Ian Fleming created this genre in the early 1950s with his string of international best-sellers, and it is interesting to speculate about the source of his ideas. Fleming had spent his youth during the 1920s and 1930s when the Protocols were among the most widely read books in much of Europe and leading British newspapers of the highest credibility were recounting the successful plots of Schiff and other international Jewish bankers to overthrow the government of Britain’s Czarist ally and replace it with Jewish Bolshevik rule. Moreover, his later service in an arm of British Intelligence would surely have made him privy to details of that history that went far beyond those public headlines. I think it is more than pure coincidence that two of his most memorable Bond villains, Goldfinger and Blofeld, had distinctly Jewish-sounding names, and that so many of the plots involve schemes of world-conquest by Spectre, a secretive and mysterious international organization hostile to all existing governments. The Protocols themselves may be half-forgotten today, but their cultural influence probably survives in the Bond films, whose $7 billion of aggregate box-office gross ranks them as the most successful movie series in history when adjusted for inflation. The extent to which established historical facts can appear or disappear from the world should certainly force all of us to become very cautious in believing anything we read in our standard textbooks, let alone what we absorb from our more transient electronic media. In the early years of the Bolshevik Revolution, almost no one questioned the overwhelming role of Jews in that event, nor their similar preponderance in the ultimately unsuccessful Bolshevik takeovers in Hungary and parts of Germany. For example, former British Minister Winston Churchill in 1920 denounced the “terrorist Jews” who had seized control of Russia and other parts of Europe, noting that “the majority of the leading figures are Jews” and stating that “In the Soviet institutions the predominance of Jews is even more astonishing,” while lamenting the horrors these Jews had inflicted upon the suffering Germans and Hungarians. Similarly, journalist Robert Wilton, former Russia correspondent of the Times of London, provided a very detailed summary of the enormous Jewish role in his 1918 book Russia’s Agony and 1920 book The Last Days of the Romanovs, although one of the most explicit chapters of the latter was apparently excluded from the English language edition. Not long afterward, the facts regarding the enormous financial support provided to the Bolsheviks by international Jewish bankers such as Schiff and Aschberg were widely reported in the mainstream media. Jews and Communism were just as strongly tied together in America, and for years the largest circulation Communist newspaper in our country was published in Yiddish. When they were finally released, the Venona Decrypts demonstrated that even as late as the 1930s and 1940s, a remarkable fraction of America’s Communist spies came from that ethnic background. A personal anecdote tends to confirm these dry historical records. During the early 2000s I once had lunch with an elderly and very eminent computer scientist, with whom I’d become a little friendly. While talking about this and that, he happened to mention that both his parents had been zealous Communists, and given his obvious Irish name, I expressed my surprise, saying that I’d thought almost all the Communists of that era were Jewish. He said that was indeed the case, but although his mother had such an ethnic background, his father did not, which made him a very rare exception in their political circles. However, once Communism sharply fell out of favor in 1950s America, nearly all of the leading “Red Baiters” such as Sen. Joseph McCarthy went to enormous lengths to obscure the ethnic dimension of the movement they were combatting. Indeed, many years later Richard Nixon casually spoke in private of the difficulty he and other anti-Communist investigators had faced in trying to focus on Gentile targets since nearly all of the suspected Soviet spies were Jewish, and when this tape became public, his alleged anti-Semitism provoked a media firestorm even though his remarks were obviously implying the exact opposite. I remember in the 1970s the enormous gusts of American praise for Solzhenitysn’s three volume Gulag Archipelago suddenly encountered a temporary headwind when someone noticed that his 2,000 pages had included a single photograph depicting many of the leading Gulag administrators, along with a caption revealing their unmistakably Jewish names. This detail was treated as serious evidence of the great author’s possible anti-Semitism since the actual reality of the enormously large role of Jews in the NKVD and the Gulag system had long since disappeared from all the standard history books. As another example, the Rev. Pat Robertson, a leading Christian televangelist, published The New World Order in 1991, his fiery attack on the “godless globalists” whom he considered his greatest enemy, and it quickly became a massive national best-seller. He happened to include a couple of brief, somewhat garbled mentions of the $20 million which Wall Street banker Jacob Schiff had provided to the Communists, carefully avoiding any suggestion of a Jewish angle and providing no reference for that claim. His book quickly provoked a vast outpouring of denunciation and ridicule across the elite media, with the Schiff story seen as conclusion proof of his delusional anti-Semitism. I cannot really fault these critics since in pre-Internet days they could only consult the indexes of a few standard histories of the Bolshevik Revolution, and finding no mention of Schiff or his money, naturally assumed that Robertson or his source had simply invented the bizarre story. I myself had had exactly the same reaction at the time. Only after Soviet Communism had died in 1991 and no longer was perceived as a hostile force were academic scholars in America once again able to publish mainstream books that gradually restored the true picture of that past era. 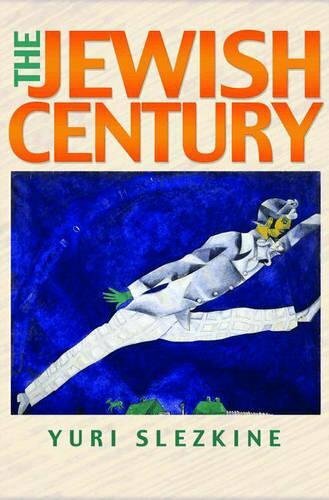 In many respects, a widely praised work such as The Jewish Century by Yuri Slezkine, published in 2004 by Princeton University Press, provides a narrative quite consistent with long-forgotten works by Robert Wilton but marks a very sharp departure from the largely obfuscatory histories of the intervening eighty-odd years. Until about a dozen years ago, I had always vaguely assumed that Henry Ford’s The International Jew was a work of political lunacy and the Protocols was a notorious hoax. Yet today, I would probably consider the former as a potentially useful source of possible historical events otherwise excluded from most standard accounts, while at least understanding the argument of why the latter might deserve a place alongside Plato and Machiavelli as a classic of Western political thought.